If you were to make a list of the most recognized animals in Africa, the bontebok is not going to make the cut. Chances are, you’ve probably never even heard of this animal. The bontebok is one of the rarest antelope in South Africa and is characterized by its stylish ring-shaped horns, striking markings on its torso, and distinctive white blaze that runs down the center of its face. It wanders across the coastal grass plains, dining on fynbos vegetation in South Africa. Their beauty is staggering. 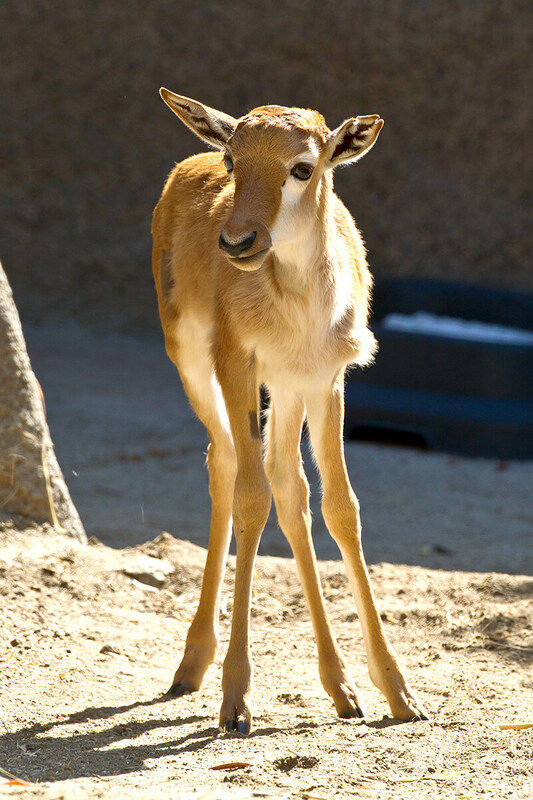 This elegant antelope has a compact body consisting of a short, stout neck and a long, narrow face. Their appearance differs dramatically from other antelope due to their rich brown coat with a purplish iridescent luster, extraordinary white face, white tail, white belly and white feet that resemble socks. The white facial markings are known as a threat mask, resembling a medieval knight’s helmet. It is intended to intimidate predators. The horns are visible in both sexes. They are angular and ringed, growing up to 18 inches in length. Horns on females are slightly more slender than the male’s horns. At home on the range. The bontebok inhabits the open savanna with coastal grasslands plains and tall shrub-like vegetation called fynbos. Historically, this species wandered the coastal plain of the southwestern Cape, South Africa. But now it persists in Bontebok National Park and a few reserves and private farms in the region. The most significant population occurs in De Hoop Nature Reserve near Bredasdorp. Grazing the surface. Bontebok are herbivores and their diet consists of various short grasses and plants. They are considered to be diurnal grazers, which means they will graze during the morning and evening and rest during the heat of the day. 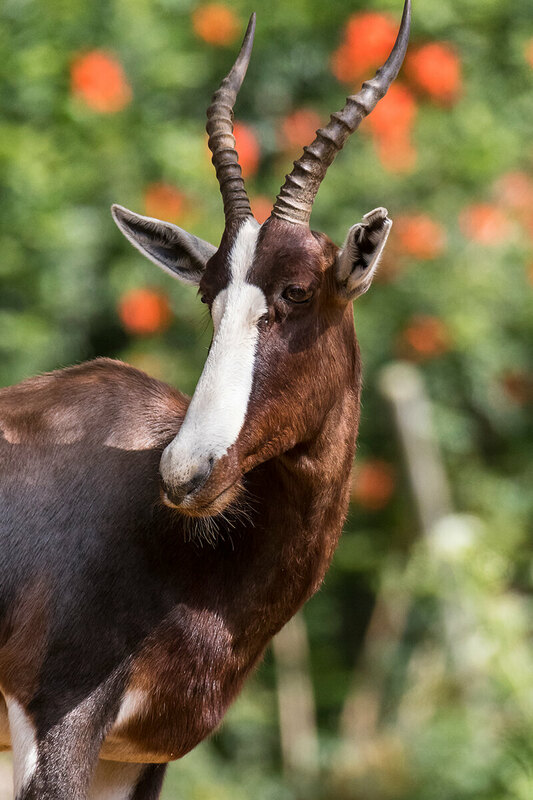 At the San Diego Zoo, we provide our bontebok with a specialized pellet food designed for herbivores, and a wide variety of clippings from trees known as browse. The buck stops here. This species is primarily diurnal and can be observed standing in groups with heads held low, facing the sun. They also spend a good portion of the afternoon seeking shade and shelter during the hottest part of the day. When water is available, they will drink at least once a day; however, they can go several days without water. Watch out! Bontebok have a lot to be concerned about when roaming the savanna. Predators consist of lions, leopards, cheetahs, hyenas, caracals and jackals. They will attempt to defend themselves from predators by using their jagged horns when necessary; however, they prefer to just run away to avoid confrontation. Honk your horn! Bontebok communicate similar to other antelope species by grunting and snorting. They use their distinct markings to communicate with other members of the herd and they also have scent glands on their hind feet used for marking territory. Other territorial markings include scrapes (patches of feces and urine) as well as secretions from pre-orbital scent glands just below their eyes. Mature males form bachelor herds within territories of 25 to 100 acres and remain on these territories year-round. They stare down rival males in fearless displays of dominance and occasionally do battle if defending territory is necessary. During disputes, males ritualistically spar by locking horns in a display very similar to human arm wrestling, with hopes of displaying dominance and attracting a mate. Females in groups of two to three may wander into these prized territories for grazing, which is why robust body language is key to communication. During the mating season, bontebok males entice females into their territories, parading their stature with an extravagant courtship ritual, in which the male lowers his head and lifts his tail over his back. Then, moving in tandem with the female, he rotates in small circles prior to breeding. Bontebok mate between January and March, with calves being born from September to October. The gestation period for this particular antelope is seven to eight months, and their young are up and mobile within minutes after birth (called precocial). Young calves are born tan in color, which helps them blend into their environment, providing camouflage while they are vulnerable and most susceptible to predation. They are born without horns, but they begin developing within the first few months of their lives. Females mature in about two years, and the species can live for up to 17 years. The San Diego Zoo has two adult bontebok and one young calf near Polar Hill, just below Skyfari East. The edge of 17. What sets bontebok apart from other animals in Africa is their conservation story, which is without a doubt one of the most dramatic success stories ever. The bontebok was once considered to be the rarest antelope in the world, with only 17 left in the wild in the early 19th century. They were being hunted by the thousands for their meat and skins, and were nearly brought to the brink of extinction. What is considered disgraceful today was celebrated back then, so overhunting ran rampant. Fortunately, a farmer had the foresight to build a fence to enclose the remaining 17 bontebok on his property. He had no idea that he was saving this species from certain extinction! Almost any other African ungulate like the eland, springbok, or kudu would have gracefully jumped out of this simple sheep enclosure, but the bontebok lack the athleticism to jump. Lucky for them, or they surely would have met their end. After the tiny population of bontebok were relocated to other parks, they began to reproduce and thrive. Bontebok numbers hovered in the low hundreds for many years. In the 1930s, a national park was declared specifically to conserve them, which helped them flourish. Careful conservation efforts have helped their numbers increase to around 3,500 today. They still face threats from hunting, and are still very much dependent on their protected lands for continued survival. With conservation organizations like San Diego Zoo Global, there is hope to save this species from ever going extinct. In 1837, farmer Alexander van der Bijl built a fence to hold his sheep, and it wound up saving the last 17 bontebok on the planet. The fence still stands in Arniston, a town near the southern Cape. During courtship, male bontebok stalk females in a rather comical "low-stretch" position. The word "bontebok" translates to "patchwork buck" in Afrikaans. Unlike other antelope like the kudu, eland, springbok, and impala, bontebok are not good jumpers; however, they are capable of crawling under objects fairly efficiently. 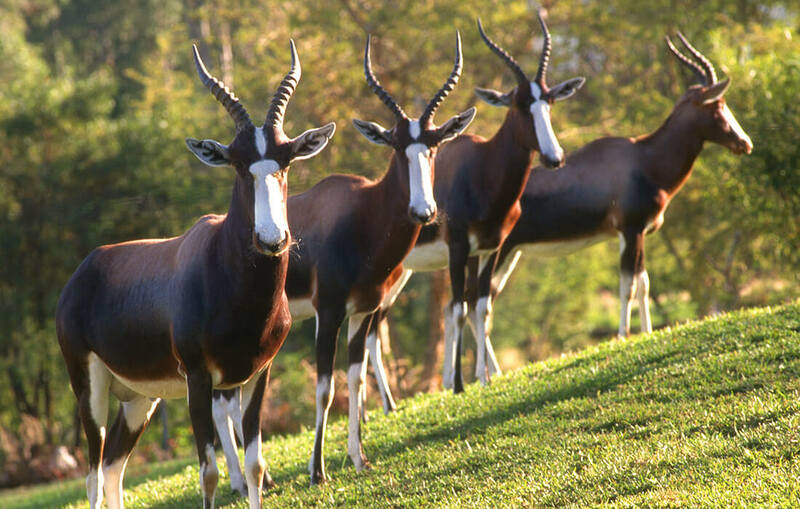 Bontebok were separated from the blesbok thousands of years ago when a very dry strip of land developed called the Karoo. They were unable to cross the Karoo and were isolated in the fynbos.